Established back in 1987, Westkon Precast is a privately owned precast concrete company. 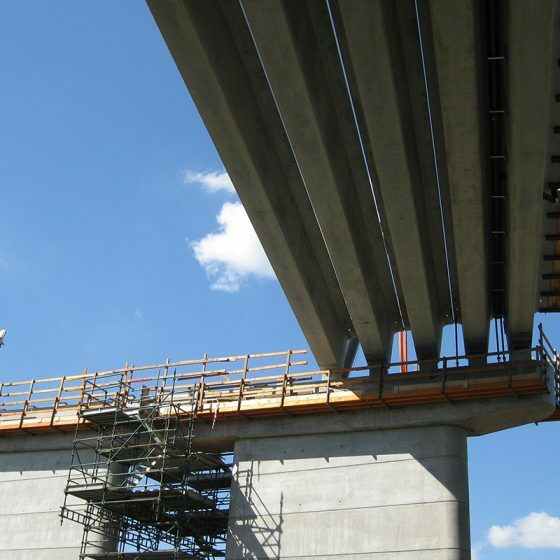 Originally focussing on producing concrete panels and detailed architectural products for the construction industry, Westkon have flourished and expanded to also service the civil engineering sector, producing super tee beams, culverts and feature noise walls. 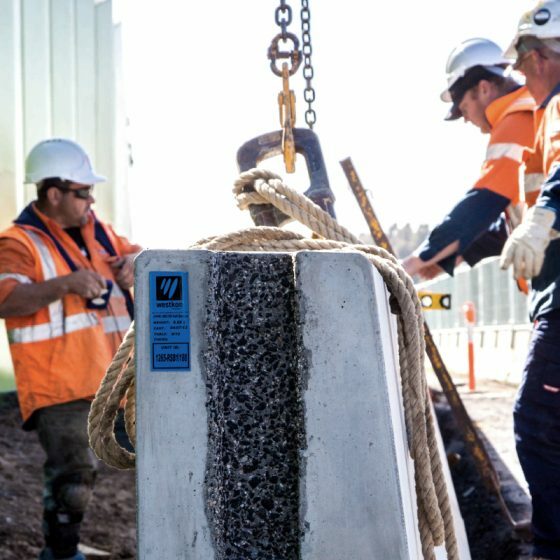 Based in Melbourne, Westkon Precast have serviced many projects both within Victoria and nationwide. Their diverse range of products include hollowcore floor planks; prestressed bridge beams/planks; architectural and structural precast panels and columns; sound and traffic barriers; bridge off-structure and on-structure barriers and parapets; prestressed stadium seating plats; precast stairs and landings; and prestressed precast products. 265 prestressed bridge beams for the freeway widening, measuring from 750 mm to 2 m deep. The largest beams weighed 100 tonne each. 57 battleship units for gantry protection along the median. A total tonnage of 34,000 tonnes of reinforced concrete was utilised. 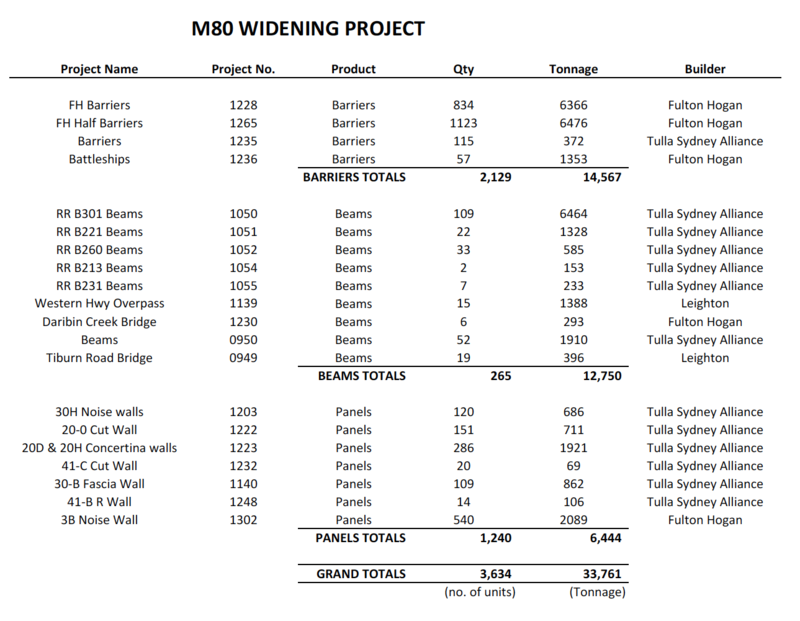 A team of 100, out of a total workforce of approximately 150 employees, worked on the M80 Upgrade. Traditionally the battleship units, that protect any overhead gantries, which are supported from the media, are cast on site due to their large size. Due to the significant number of battleship units required for the project, the heaviest segment weighing in at 27 tonne, the 19 units, in segments of three, were precast. Off site production was found to be a significantly more economical option, in terms of time-savings to the site, and also with the associated monetary costs. 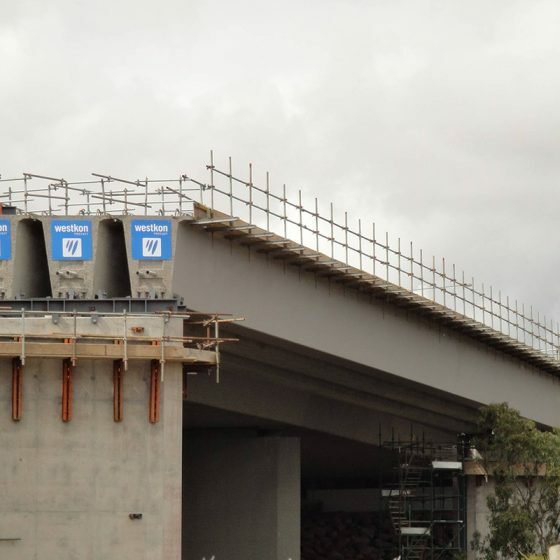 Further projects that Westkon Precast are proud to be involved with include, supplying off-white colour control concrete panels to Emporia Apartments in Parhan and Geelong Hospital; shell beams, columns and mini slabs to the Victorian Comprehensive Cancer Centre; bridge and barrier components to grade separation projects in Springvale and Mitcham; and bridge beams to the Western Highway. 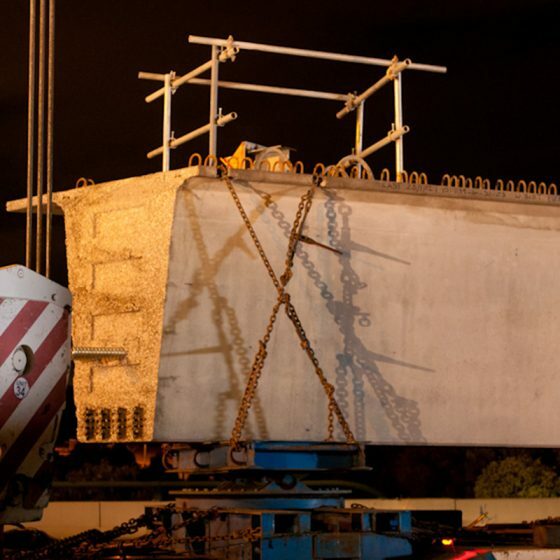 Westkon Precast have gained a solid reputation within the precast concrete industry, with their vast amount of industry expertise and experience. With their diverse product range, including hollowcore and seating plats, and the offering of a full design and construct package for complete precast structure, Westkon are set apart from the rest. Their skilled management team thrive to stay abreast of new and innovative developments in the industry, in order to provide their clients the best possible solutions to their projects. They are also in the position to provide project management advice on the buildability of existing or prospective designs. Their skilled drafting services and maximum production rates, coupled with their superior quality assurance procedures have seen Westkon Precast grow to one of Australia’s largest precast concrete suppliers. The high quality precast operation is spread across two sites—the Melton plant (84,000m2) predominantly manufactures concrete elements for infrastructure projects, and the Sunshine plant (55,000m2) services commercial and residential projects. This large production capacity ensures no project is too big.